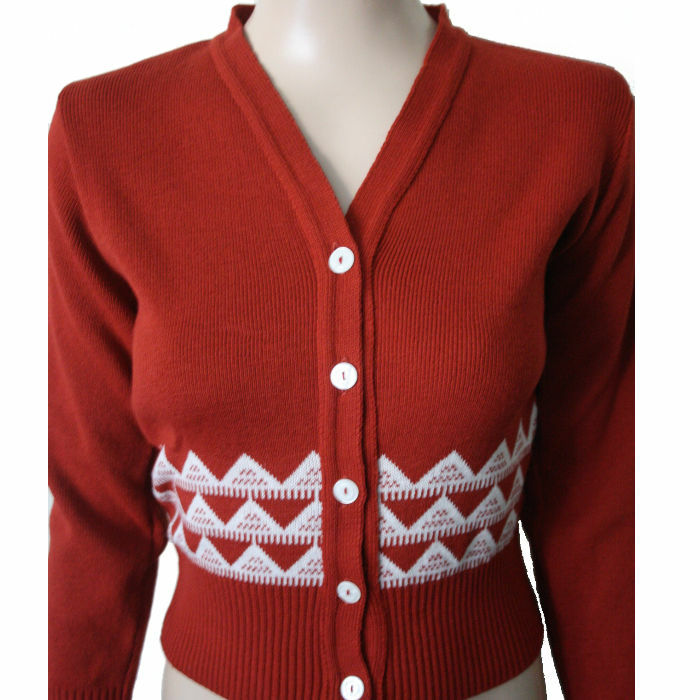 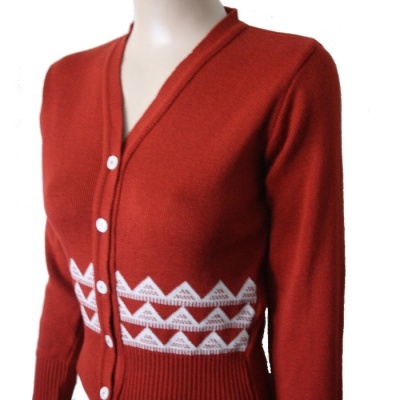 Long sleeve cardigan in a lovely rich rust colour with a 'triangle' jacquard pattern in white and white buttons. 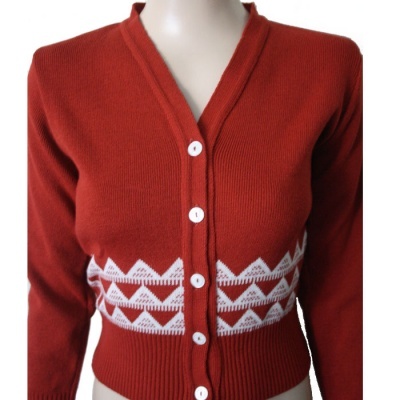 Fancy a twinset? 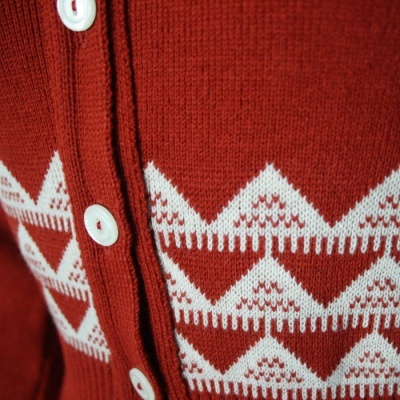 We also have matching sweaters available.